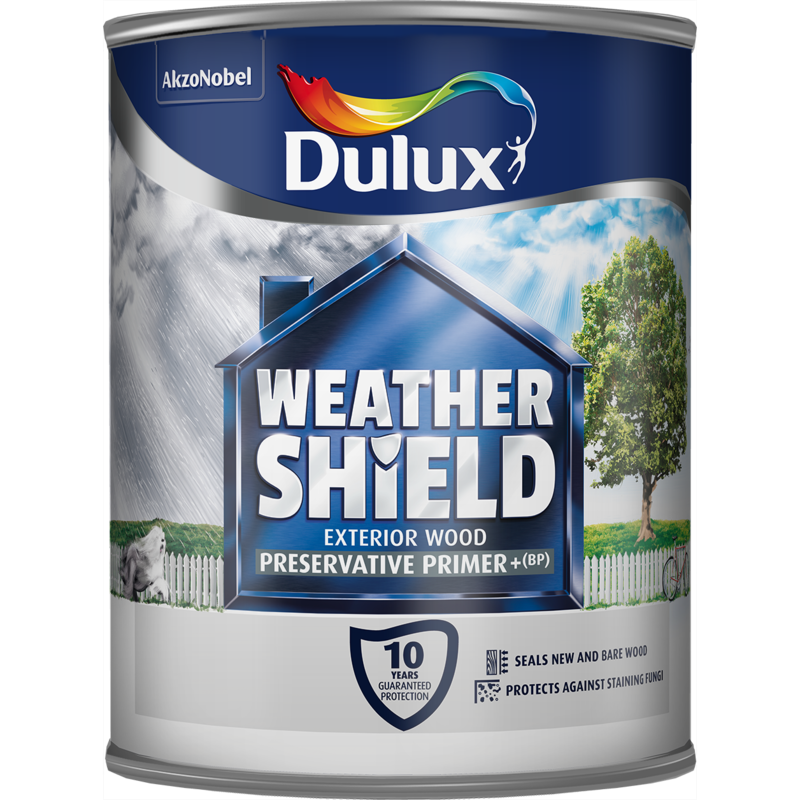 Weathershield Exterior Preservative Primer+ (BP) from Dulux penetrates deep into wood to seal and protect against water damage, decay and blue stain fungi. Suitable for use on all types of bare wood. Leave 24 hours for the system to dry, but apply the second coat while the first is still wet (2-6 hours).